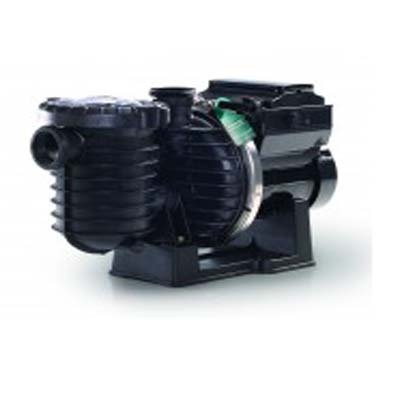 The Certikin Aquaspeed Pump swimming pool pump is available in a choice of sizes from 0.5HP to 3HP. It has a single piece fibreglass pump body to ensure maximum strength and durability. The solid clear pump lid allows for easy inspection of the pump basket. It is suitable for salt chlorinated pools and has a hydraulically efficient impeller and diffuser design for maximum hydraulic output whilst minimising turbulence. Are you looking for swimming pool equipment suppliers in Dubai, do call us now on 04 429 00 44. The Aquaspeed pump 100 Eco-V pump is the latest addition to the range, and includes all of the Aquaspeed pump body features, but incorporates a variable speed motor that helps to reduce pool running costs. It is ideal for new installations or retrofit as the connections are the same as the single speed Aquaspeed. The Aquaspeed pump 100 Eco-V is equipped with the very latest state of the art variable speed permanent magnet brushless motor that results in the ability to vary the motor speed depending on the installation which in turn varies the water flow resulting in a reduction in energy consumption. Swimming pool companies in Dubai are using this Aquaspeed pump mostly.